Ever since the announcement of Dhadak, people are really excited to see the duo chemistry on the big screen. The trailer, songs, and various teasers released by the makers from the movie took social media by storm creating buzz amongst the audience. The makers planned to cast two of the young sensation featuring Janhvi Kapoor and Ishaan Khatter in one of the anticipated love story of 2018. Dhadak is a movie that is set in Rajasthan. It is the story that shows various shades of love which comes with its own tribulations and disputes. The trailer begins with rowdy Ishaan flirting with Janhvi and shifts to a dark tone at the end of the trailer. It is the manifestation of pure, young, unconditional and a fierce love story of two beings. Dharak is ready to release on 20th July 2018 and is already in news because of the debut of legendary actor Sridevi’s daughter Janhvi Kapoor. The movie also features ‘Beyond the Clouds’ fame, Ishaan Khatter. The expectations are high from both the star-studded actors. Dhadak is a romantic drama produced by Dharma Productions and Zee Studios. The film is a remake of the 2016 Marathi film, Sairat. The theme of caste difference, honor killing, and social disposition are some of the common plots of this so-called dramatic fairytale. Dhadak songs shows the innocence of two love birds who have barely stepped into their adulthood. It is the one of the unique, mellifluous number that has make the lovers go round. We see Dhadak music review as a stolen glance on the star cast of Dhadak. The presence of Ishaan Khatter with his leading love Janhvi has made the visual appeal totally worth it! Ishaan and Janhvi are presented as two contrasting personalities who share different social disposition in the society. Dare to fall in love with each other, they walk away the path of adorable relationship that falls prey to the stringent practice of casteism. The Dhadak trailer review looks like a gasp of fresh air with the presence of Janhvi and Ishaan. Both of them look so charming on screen that it becomes difficult to take your eyes off them. In Janhvi’s eyes, we can clearly see the spark of becoming the next big star of Hindi cinema. Ishaan too looks exceptionally impressive. Icing on the cake is the music which makes us sense another memorable album from the house of Dharma. With such an adorable trailer, we just can’t wait for the movie to release. Let’s analyse the movie astrologically and discuss the movie prospects on the box office. Read Dharak movie review, the astrological way. Dhadak is releasing on 20th July 2018. As per the Hindu Calendar, this day is Shukla Ashtami. It is the name for Jaya tithi and makes a person victorious. The day is considered very auspicious for starting any new project. Nakshatra : The day 20-7-2018 comes under Swati Nakshatra. The ruling planet of this nakshatra is Rahu. Rahu is a shadowy planet and is notorious for giving sudden & unexpected results. 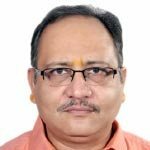 This nakshatra is not considered auspicious for initiating projects meant for long term gains. Yoga : The name of the yoga on the day of movie release is Sadhya. It is an auspicious yoga and helps in achieving the desired results. This is an auspicious yoga, suitable for the beginning new ventures or new projects. The numerological value of the film’s name DHADAK is 17. Number 17 belongs to Saturn, and is well known for giving extreme results i.e. either very good or very bad. The release date of the movie Dhadak is 20-7-2018. The date 20 is ruled by Moon which is a planet of emotions & art. Viewers will surely like the emotion quotient of the film. The romantic emotions will flow in favour of the Ishaan Khattar and Janhvi Kapoor. The destiny number of 20-7-2018 is 2. This number is in perfect harmony with the birth-date of the hero of the film, Ishaan Khattar and is favourable to Janhvi Kapoor. 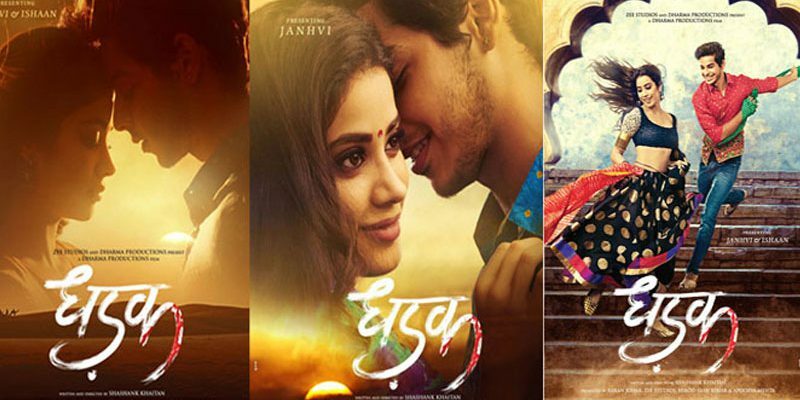 Astro-Numero Verdict – The movie will create ripples in the bollywood and the viewers as well as the critics will be excited to see Janhvi’s debut film, Dhadak critic review. The film will generate quick short financial gains but won’t be able to sustain the charm for a long period of time. I wish the producers had kept the spellings of the film as DHADDAK instead of DHADAK by adding an extra ‘D’. 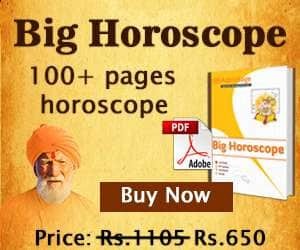 Rajiv S Khattar is a renowned astrologer, popular for Lal Kitab predictions, KP System and Parashari in detail. He also has a strong foundation in Numerology, Horary Astrology & Vastu. Mechanical Engineer by profession, he is a popular name in electronic and print media.